Happy foot essentials from Sephora, Trind, Avon and Caudalie! 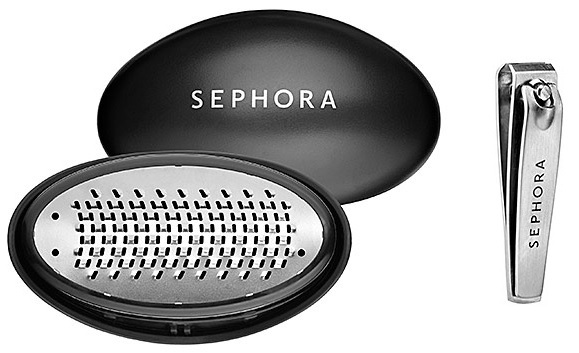 Sephora A Step Ahead Foot Smoother - $15 - a professional-style foot file for beautifully smooth feet with an ergonomic design so it fits perfectly in the palm of your hand, making it quick and easy to buff and soften feet. Sephora Make The Cut Toe Nail Clipper - $10 - salon-quality stainless steel nail clipper for toes that features a construction of durable stainless steel for easy cleaning and sanitation and straight blades that were expertly designed to prevent nail breakage and ensure a precise cut. 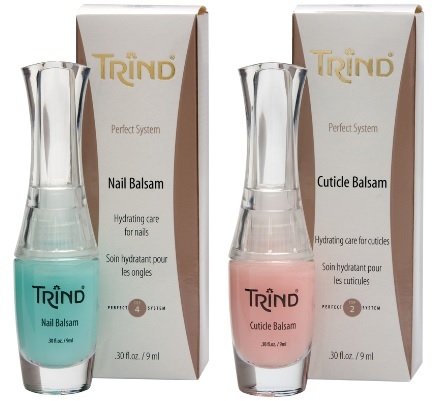 Trind Nail Balsam - 9ml - $20 - is the perfect moisturizer for dehydrated, dry, brittle or peeling nails that tend to split and tear - contains - d-Panthenol, Phytantriol, and Biotin - to help provide continuous hydration. It's also oil-free so that after absorption, you can immediately apply nail polish. Trind Cuticle Balsam - 9ml - $20 - helps prevent dry cuticles and hangnails to help nails and cuticles to look their best - contains d-panthenol, allantoin, hyaluron-acid and phytantroil as well as Trind's unique formulation: the Trind Duo-Liposome - tiny microscopic packettes used to carry compounds to specific tissue and are equipped to help hold the skin's natural moisture longer, even when exposed to sun and water. Good news - The Shopping Channel is now carrying the line making it a lot easier to get your Trind fix - www.theshoppingchannel.com. Avon Foot Works Deodorizing Spray - 100g - $9.99 - provides effective odor protection and helps control wetness to help feet feel dry and refreshed. Avon Foot Works Deodorizing Foot Wipes - 24 wipes - $7.99 - with odor-neutralizing technology, vitamin E and aloe. Caudalie Foot Beauty Cream - 75ml - $17 - with a creamy balm texture that repairs, intensely nourishes, refreshes and revives dry tired feet for skin that is left supple and silky with no greasy film. Available at spas and Sephora. I didn't know Caudalie made foot cream! I'll have to look into this when I'm done my current jar.